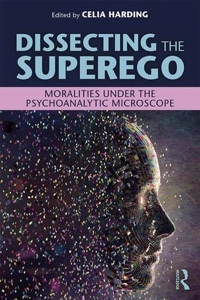 Due to the inherent contradiction in Freud’s concept of the Superego, there is a gap in our psychoanalytic understanding of how conscience evolves. This distinction is essential for the successful treatment of patients dominated by a harsh Superego and provides valuable insight into how contemporary society evaluates moral decisions. The Petrified Ego argues for a revision of psychoanalytic theory to include instinct as the primary form of morality. It makes the case that our earliest, infantile notion of ‘good’ and ‘bad’ is rather founded on experiences which have been ‘safe or ‘threatening’. More often than not, this is the basis of our moral judgement of others. It is only through direct challenge to these visceral values that beliefs independent of the survival instinct can be forged. Why does this matter? Lack of distinction between the two means that consideration of the ‘right or wrong’ or the ‘good or bad’ of others’ behaviour is no more than the rationalising of an instinctual response. To apply rationality is quite different to the act of rationalising.The author argues that weighty issues such as the right to work and to claim benefit, the judicial handling of rioting adolescents, prisoners’ right to vote, institutional ‘group think’ such as seen in the banking sector, care homes and even recently, the BBC, flounder for want of a sound framework around the origin and evolution of morality. Contrary to the accepted view, the stability of society and the individuals who comprise it, is not a compromise between opposites but the articulation of a relationship between two entities of a different order: social and individual. An apparently well-structured organisation too often disguises a rigid moral order which represses individual perspective. Once rigidity is acknowledged to be the hallmark of a moral order founded on instinctual fear, it can be dissipated, allowing for the integration of individual experience, facilitating a mature and inclusive moral stance. Elizabeth Reddish has worked as a psychoanalytic psychotherapist in London since 1996 and is registered with the British Psychoanalytic Council. 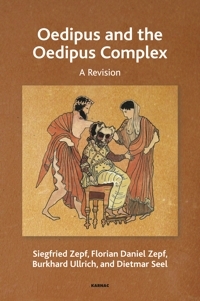 The Petrified Ego is adapted from her professional doctorate ‘The Structuring Function of the Superego’. She worked for fifteen years in the feature film industry prior to training in psychoanalysis. Her clinical experience of the debilitating impact of an over-critical conscience forms the basis of a psychoanalytic model that she has designed to help individuals fulfil their potential at work. She consults in this area alongside her clinical practice.